First launched in 1992, these models represent one of the most important parts of the American transportation industry playing a vital role in the US economy. 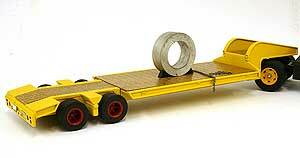 All are crafted in 1:43 scale white metal and are highly desirable and collectable. 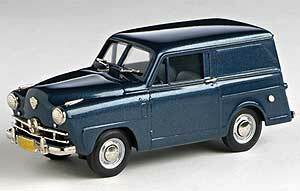 Built by Brooklin models in England. 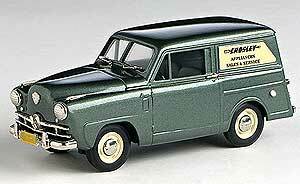 1951 Crosley Super Station Wagon in green by US Model Mint. 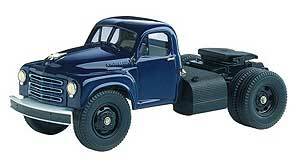 1950 Studebaker Semi Tractor/Cab in blue by US Model Mint. 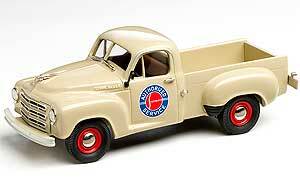 1951 White Mustang Semi Tractor/Cab WC22 by US Model Mint. 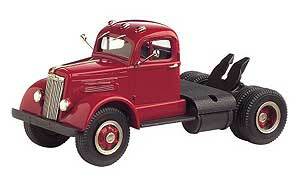 In 1949 White made a further development of the WA and WB Series of trucks and the WC Range was born. 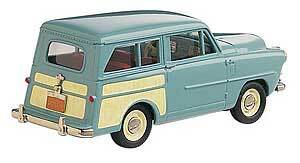 This bonneted range was set to become one of Whites best-sellers during the 1950s. 1953 Dodge C.O.E. 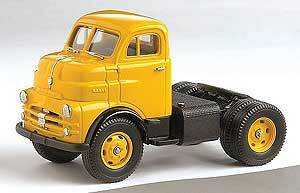 Semi Tractor/Cab by US Model Mint. 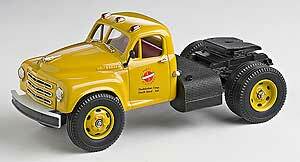 1950 Studebaker Wrecker truck by US Model Mint. 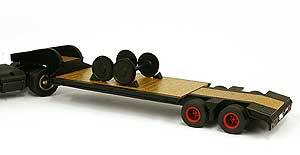 1950 Rogers Goose-Neck Lowboy trailer with Steel load by US Model Mint. 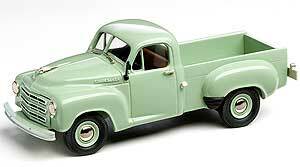 1952 Studebaker R-5 Pick-Up (Studebaker-Service) by US Model Mint.